JOSHUA FREE explains this magic in the Liber-50 material released as SUMERIAN RELIGION by Joshua Free, also available in the Year-2 Mardukite Core Anthology GATES OF THE NECRONOMICON edited by Joshua Free. Perhaps the most fundamental ‘formula’ of the magical system in Babylonia, if there is one, goes back to the heart of the system born of the scribe-priests and the figures who brought this system about – NABU and the appropriation of his father, MARDUK as the chief director. This is the spiritual acknowledgment alluded to by the Incantation of Eridu, also known as the ‘Incantation of the Priest of Eridu’ (Eridu being the shrine-home of ENKI), or the ‘Incantation of the Deep’, which simply refers to another name for the far-away abode of ENKI near the Persian Gulf. Ceremonial activation of the ‘birthright’ of Anunnaki power sealed in Eridu (and then in Babylon) allows a practitioner to assume the representative form of the “ Priest of Eridu,” a title first bestowed upon MARDUK by ENKI, then passed onto NABU during the solidification and heights of the Babylonian era. The esoteric key in effect here is that the priest conducts the incantations (ceremony) as the embodiment of an intermediary ‘messenger’ deity – the original semantic of the word “invocation” – thereby directing the cosmic (world) order, in essence, first hand. The magician approaches his deity as himself – a servant priest – and petitions to assume the godform, whereby he continues the ceremony as a divine representation of the god ‘invoked’. An almost identical principle appears within Semitic mysticism and the Judeo-Kabbalah – an excellent example being found in contemporary Catholicism, when the priest ‘assumes the Christ-form’ to effectively perform a perceived alchemical transmutation on the sacramental bread and wine, conducted as a representative of Jesus on earth, in imitation (dramatic reenactment) of the Last Supper. Who calls thee here now. The tamarask (of Anu), in my hand, I hold. Son of Our Father, Enki. MESOPOTAMIAN RELIGION gets a face lift! The most critically acclaimed and bestselling materials from the Mardukite Research Organization now available in one volume! Last year, the Mardukite Truth Seeker Press released new updated eco-editions of two of our most critically acclaimed and widely distributed materials — SUMERIAN RELIGION (Liber 50) and BABYLONIAN MYTH & MAGIC (Liber 51) later revised and expanded as SUMERIAN TRADITION (Liber 51/52). Previous editions of these materials were arranged for the classic anthology MESOPOTAMIAN RELIGION (Liber 50,51/52) and the latest updated eco-editions are now available for the first time in one volume as SEARCHING THE SANDS OF TIME by Joshua Free, with original foreword by Sortileges. A master compilation of mythological and religious exploration into the heart of the ancient Mesopotamian Mysteries, this easy-to-read post-modern anthology illuminates the ancient world using revolutionary teachings and source materials of the modern Mardukite Chamberlains (Mardukite Research Organization) and edited by Joshua Free, the presiding Nabu of the administration since its inception. Keeping with the familiar cover photo that has always represented these important materials since being introduced to the public FIVE YEARS ago — SEARCHING THE SANDS OF TIME is a highly innovative and accessible ‘academic edition’ of the Mardukite Chamberlains “Year-2” research and development, including the complete text from two installments: “Sumerian Religion: Secrets of the Anunnaki & The Origins of Babylon” (Liber 50) & “Sumerian Tradition: Secrets of the Anunnaki in Babylonian Mythology” (Liber 51/52) in one incredible compilation! Arriving on the surface world from the underground – an amazing insight into the Anunnaki ‘alien gods’ and the establishment of human civilization famously accounted by the Sumerian and Babylonian traditions. Prolific writer, Joshua Free, presents this topic such as the modern world has never before had access to, developed from the revolutionary work conducted by the next generation of Seekers actively using a revival Anunnaki tradition in the present day. SEARCHING THE SANDS OF TIME is not merely the presentation of dry academic renderings of obscure tablets; this book will take you on a progressive journey that is just as relevant and critical today as it was thousands of years ago! Uncover the mysteries that lay hidden in ancient Sumer, with a message so relevant today, it is no wonder it became the greatest kept secret of Babylon! 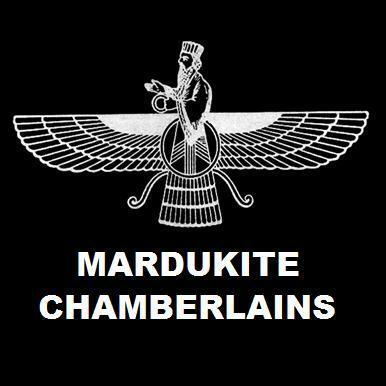 The most critically acclaimed bestselling materials from the Mardukite Research Organization – now available from the underground – revealing amazing insights into the Anunnaki and Mesopotamian Mysteries — just as relevant and critical today as thousands of years ago! A contemporary ‘tablet collection’ that paved the way for intensive research and experimentation. It reveals the inner-circle methods used by the ‘Order of Nabu’ to acquire direct communication with ‘alien intelligences’, reviving the same process as priests of the Anunnaki in Mesopotamia. The 3rd Edition of an original underground classic revealing amazing insight into the religious and spiritual reality of the ancient Babylonians, described on cuneiform clay tablets unearthed in the Middle East. The Maqlu Tablets… An authentic and complete spellbook or grimoire of Mesopotamian Magic dedicated to Enki, Marduk and Samas (Shammash). Magicians and priests have used this text over thousands of years for psychic warfare, reversing evil spell effects, and conjuring protection and blessings of the ‘gods’! To the Beyond… By whatever names it has been given, this ‘advanced’, ‘esoteric’ or ‘inner circle’ work contains a glimpse of the Other Side. The highest mysticism – the Great Work – is considered ‘divine communication’ by some, or ‘trafficking with the devil’ to others. 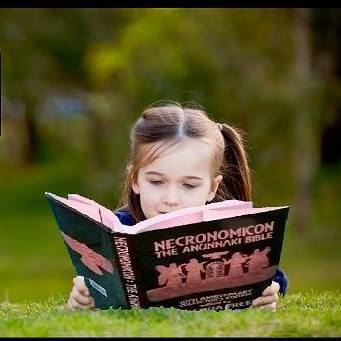 Understanding the twilight dimension of death completes corporeal education.